Can you believe it; we’re entering the festive season once again! As we look back on the year that was, we have been truly privileged to put on some incredible exhibitions this year. We wish to express our sincere thanks to our loyal customers for another brilliant year, but our deepest gratitude is to the artists – who gift us with beauty in our lives and who keep culture strong in their community – thank you. If you have visited us in our Rozelle gallery recently, you may have noticed it’s looking a little ‘tight’ – we literally have artworks hanging on every spare inch of wall space in the gallery, and Laetitia our collections manager is constantly coming up with creative solutions to store our artworks, which has gone well above 1,800 paintings. Our business and the artists we represent are both reliant on a constant cash flow from the sale of artworks, so it’s time for these artworks to find their ‘forever homes’! To make that happen, we’re putting on an extraordinary sale until the end of the year: over half of the gallery (1,000 quality Aboriginal artworks) will be reduced by 20%-80%! It really was a sight when the KOG Crew found out which artworks were going on sale – some of their favorite pieces have made the list and their jaws dropped! 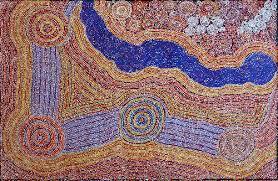 Pieces such us this vibrant beauty by Murdie Nampijinpa Morris. Murdie represented Warlukurlangu Artists at the Desert Mob exhibition earlier this year, so she’s a big deal in the Aboriginal Art scene at the moment. And Barbara Weir’s artwork featured prominently in our major Emily Kngwarreye and family exhibition earlier this year. Award winning artists such as Helen McCarthy Tyalmuty are included, and even deceased artists such as the great Minnie Pwerle and Clifford Possum. Please note the gallery can get very busy during this time of the year, so to ensure you don’t miss out on your favorite piece at this incredible sale price make sure you contact us as soon as possible. Happy Shopping and bring on the festive season! The prospect of browsing all 1,000+ sale might seem daunting! But we've got some great NEW features on our website to make it an easy (and enjoyable!) process. LOVE a bargain? 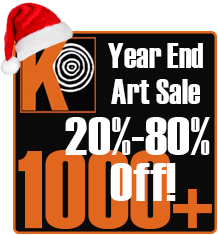 Jump straight to the artworks that have some remarkable discounts! Even Our Most Popular Artists Are On Sale! 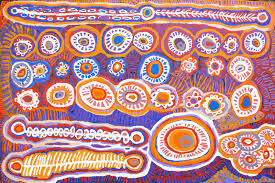 If you don't know much about Aboriginal art but you want to look at styles and the range available, use our Art Search tool. On the menu to the left you can select price, colours, sizes, shapes, styles, regions and a whole lot of other criteria to find an artwork that's exactly right for you. Or, you can search for highly collectible works, check out your favourite artists, see our newest artworks. If you have a budget to be respectful of, you can also browse by price range, or you can jump right in and find a bargain on our sale page! And don't forget - the KOG Crew are here to help you and we LOVE to hear from you!